Fri., 28 Jun. - Mon., 22 Jul. Sat., 31 Aug. - Mon., 9 Sep. Sun., 8 Sep. - Sat., 14 Sep. Sun., 1 Mar. - Sun., 1 Mar. Located in Pudong, this hotel is 5.1 mi (8.2 km) from Sanjiagang Beach Park and 12.1 mi (19.5 km) from Shanghai Disneyland©. Shanghai Zhangjiang Hi-Tech Park and Shanghai WIld Animal Park are also within 16 mi (25 km). Haitiansan Road Station is 18 minutes by foot and Pudong International Airport Station is 25 minutes. 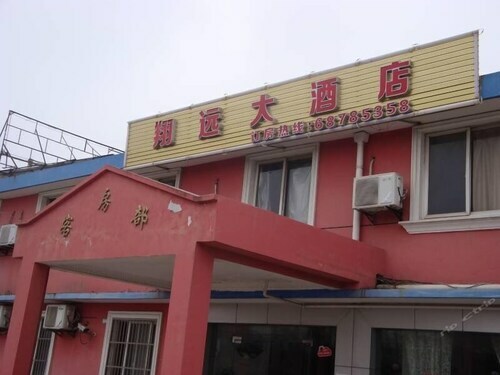 Located in Pudong, this hotel is 1.6 mi (2.6 km) from Shanghai Sanjia Port Coastal Tourist Areas and within 9 mi (15 km) of Sanjiagang Beach Park and Huaxia Culture Park. Wu Changshuo Memorial Hall is 8.3 mi (13.3 km) away. Haitiansan Road Station is 20 minutes by foot. 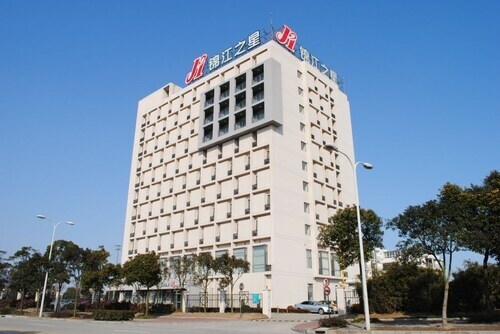 Located in Pudong, this hotel is 4.9 mi (7.8 km) from Shanghai Sanjia Port Coastal Tourist Areas and within 12 mi (20 km) of Sanjiagang Beach Park and Huaxia Culture Park. Wu Changshuo Memorial Hall is 10.4 mi (16.7 km) away. 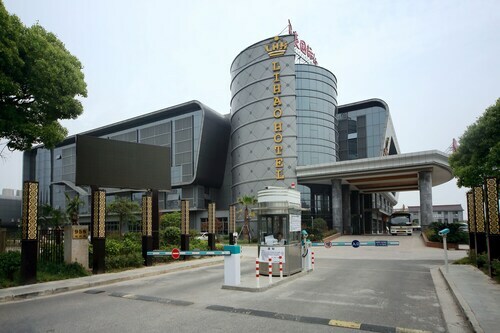 Located in Pudong, this hotel is 11.6 mi (18.6 km) from Shanghai WIld Animal Park and within 25 mi (40 km) of Shanghai Disneyland© and Shanghai Science and Technology Museum. Oriental Pearl Tower and The Bund are also within 32 mi (52 km). 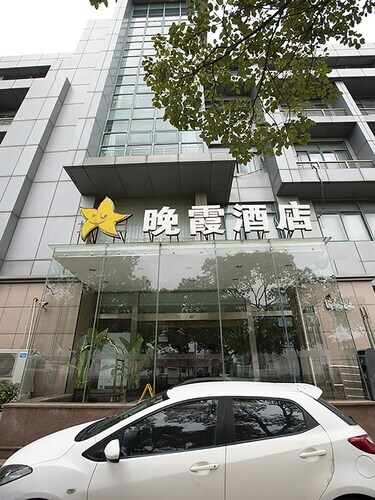 Located in Pudong, this hotel is 2.8 mi (4.6 km) from Shanghai Sanjia Port Coastal Tourist Areas and within 9 mi (15 km) of Shanghai Disneyland© and Sanjiagang Beach Park. Huaxia Culture Park and Wu Changshuo Memorial Hall are also within 9 mi (15 km). 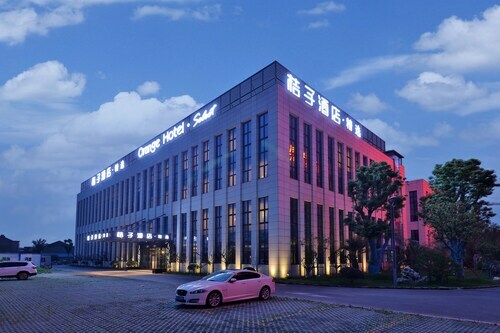 Located in Pudong, this hotel is 1.6 mi (2.6 km) from Shanghai Sanjia Port Coastal Tourist Areas and within 9 mi (15 km) of Sanjiagang Beach Park and Huaxia Culture Park. Wu Changshuo Memorial Hall is 8 mi (12.9 km) away. Haitiansan Road Station is 26 minutes by foot. 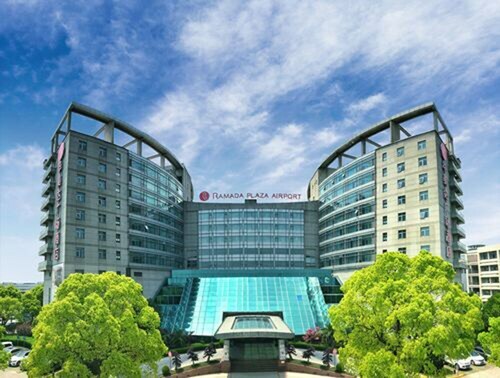 Located in Pudong, this hotel is within 9 mi (15 km) of Shanghai Sanjia Port Coastal Tourist Areas, Sanjiagang Beach Park, and Wu Changshuo Memorial Hall. Huaxia Culture Park and Shanghai WIld Animal Park are also within 12 mi (20 km). Answer : The cheapest day to fly from Hong Kong to Shanghai is on Sunday. If you are trying to save some money on your next business trip look for flights on Sunday. Question : How many flights are there per day from Hong Kong to Shanghai? Answer : Depending on the day of the week, the number of flight times will change, but on average there are 37. You’ll have more choices on this route than most others departing Hong Kong. Question : How long is the flight from HKG to PVG? Answer : This direct flight will whoosh you away to your destination in two hours and 10 minutes via China Eastern Airlines. If you catch the 7:40 AM HKT departure, you'll arrive at 9:50 AM CST. Allowing you plenty of time to freshen up before your next meeting. Question : What is the cheapest airline flying from Hong Kong to Shanghai? Answer : Flight prices are hitting highs of $1,638 over the next three months when flying to PVG from HKG. Check out China Eastern Airlines, as they have bookings at just $232. Answer : Yes, you can adjust your departure or arrival date. If you wish to save some funds in doing so, the cheapest day to fly in April is Sunday. Having flexibility in your travel plans means you can save more, so be sure to plan ahead when possible. Question : How much is a plane ticket to Shanghai (PVG) from Hong Kong (HKG)? Answer : Prices can range from $232 to $1,638. Booking in advance can normally help you get the cheapest rate. Don't forget, the sooner you book, the better price you tend to get. Question : What is the cheapest date to fly to Shanghai? 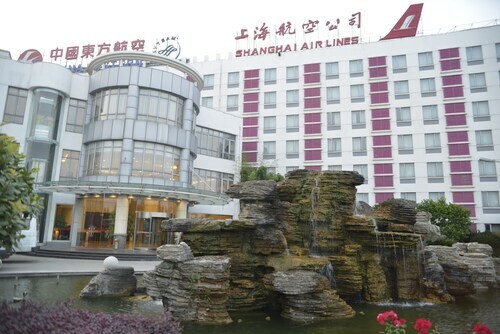 Answer : As of Apr 15th, the best day for booking to Shanghai (PVG) is May 1st. It cost $232, which is 39% below this route's average price. I gate checked a stroller but when we got to Shanghai, it was not available and it would only be available on the baggage carousel. This was ridiculous as its not a close walk and immigration does not have express lineups for infants. Shanghai ground staff blamed HK ground staff for not putting it in the right place. Otherwise good flight. Business class compares with business on a domestic American flight. Helpful and attentive staff. Excellent services. Not too happy with the Shuttle bus connection at tarmac. the meal could be better. It tasted bad.